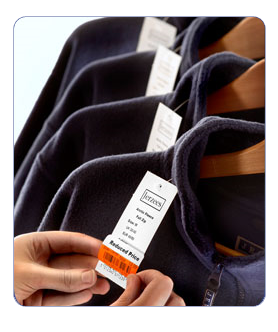 We are an experienced Label and Hangtag Printer for many different retail companies. Please call or email our barcode experts for help with any type of Labels, Tags or Printing. WE ARE FAST - Standard Turnaround of 2 days or less. We are experts in all types of printed barcode labels, retail labels and barcode hang tags for businesses. We print for most major retailers, and we know how important it is to follow proper Vendor Compliance Guidelines. If you make a mistake, you can receive Vendor Charge Back penalties that cost you thousands of dollars. Why risk doing it yourself? We understand all different types of barcodes and retail formats. 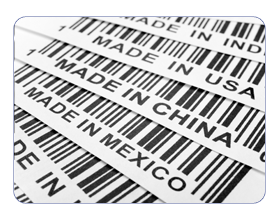 We print millions of high quality, fast turnaround barcode labels every month. We will quickly design and print the labels you need. 20% Off - International Shipping Discount Program: We export, so let us produce your overseas labels. We give you 20% off all label costs to help pay for international shipping. We do this automatically on every order that ships internationally from our office. We're very fast. Our standard turnaround is 48 hours or less. But we ship 46% of all orders the same day they're received, and we ship 82% within 24 hours. We also have "Guaranteed Next Day" and "Guaranteed Same Day" RUSH service available for a small extra charge. We 100% guarantee our work. We guarantee that our barcode labels will be correct. If we make a mistake, we'll reprint your order in 24 hours or less, and ship it to you by overnight air - at no cost. We have the lowest pricing. We charge less than it would cost most companies to do the printing themselves. We will match or beat all written price quotes from our competitors. Our minimum order is only $10 - so we're great for both small and large quantities. Everything we do is made in the USA. We work on your schedule, and we understand what you need. All our production people have a minimum of 5 years' experience with barcode labels. We have great customer service. When you call our office, you speak directly with our printing experts. These are the people who will be printing and shipping your order. We've streamlined our production process, so you work directly with our best production people. 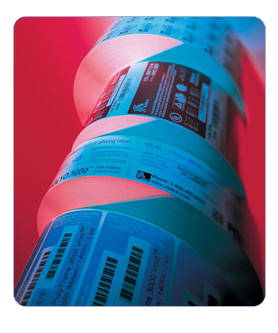 Call us today to learn more about our Fast Pre-Printed Barcode Labels. You can also email or fax us a sample of what you need, or send us the labeling requirements straight out of your retailer's vendor manual, and we'll help you make sure it's all done right.